We provide bass guitar lessons in London and the surrounding areas.Our fantastic bass guitar teachers visit or host students anywhere in London. Our London bass guitar lessons are for students of all ages and abilities. Absolute beginners don’t be shy! We provide bass guitar lessons in London – Our bass guitar teachers cover all parts of the city and the surrounding Greater London area. The bass guitar is a fantastic, essential and undeniably cool musical instrument, which plays a key role in all styles of modern music. The bass guitar often takes a prominent role in Rock, Funk, Jazz, Metal, Pop, R’n’B and many, many more genres. Our London bass guitar teachers are specialist, expert professional bass guitarists who are trained to teach you all aspects of good bass guitar playing. From great, solid bass guitar technique, to developing a strong repertoire, to nurturing creativity and studying improvisation, music theory, songwriting and more – We will ensure your bass guitar development is both thorough, and enjoyable. At Bruce Music, our London bass guitar teachers travel to your home, office or other chosen London location for your convenience, but can also host your bass guitar lessons if preferred. We have several teachers, each covering a different London area, meaning we’ve got you covered wherever you are. Your dedicated, qualified, friendly bass guitar teacher will tailor your bass guitar lessons to your ability level, aims, and musical tastes. This means you’ll be making quick progress, while playing all the songs you love. You’ll develop great playing technique, and have a lot of fun in your lessons too. We offer home visits across London as standard, or alternatively you can visit one of our bass guitar teachers if you prefer. Virtuoso style specialism – From Funk improvisation to free Jazz to Death Metal! If you wish to work towards grade qualifications in your bass guitar lessons, we can absolutely help you to do so. 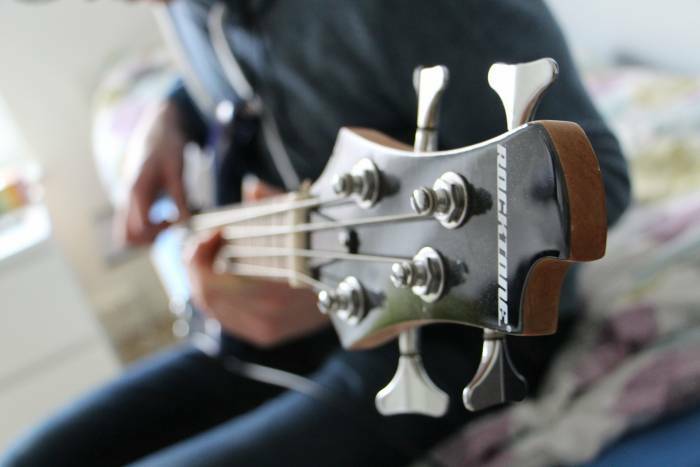 Our London bass guitar teachers are experienced, dedicated and thorough when it comes to preparing students for bass guitar grade exams with all the major exam boards offering bass guitar qualifications. At Bruce Music, we take great pride in our students’ 100% pass rate across all instruments in all grade exams. This includes very many students earning merits and distinctions as a result of their hard work under the guidance of our teachers. For bass guitar students who don’t want to study grades, our teachers will offer guidance through other routes of progression too. This could mean playing along with songs and backing tracks, assistance in starting or joining a band, showing you how to record your creative ideas and arrange them into song demos, or any number of other things. We are extremely selective about the bass guitar teachers we employ at Bruce Music. 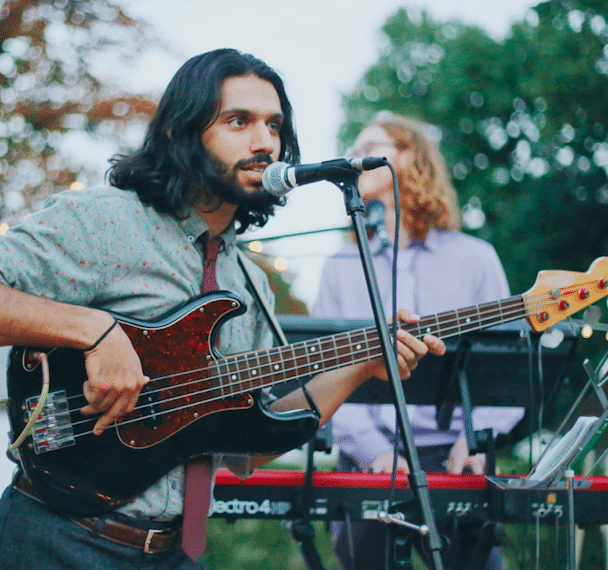 We only hire expert, professional, virtuoso bass guitarists actively working in London’s vibrant music scene. Our bass guitar teachers are not simply electric guitarists turning their hand to bass guitar on the side, as can so often be the case. 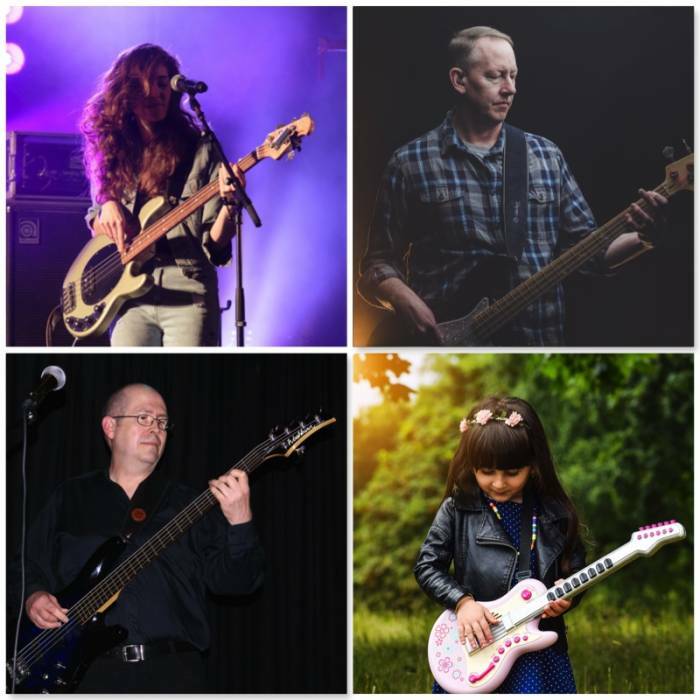 All the fantastic musicians offering bass guitar lessons with Bruce Music are experienced bass guitarists with a thorough, specialist understanding of bass technique, practice, performance and maintenance. Our bass guitar teachers’ profiles can be viewed on our ‘london guitar teachers’ page. 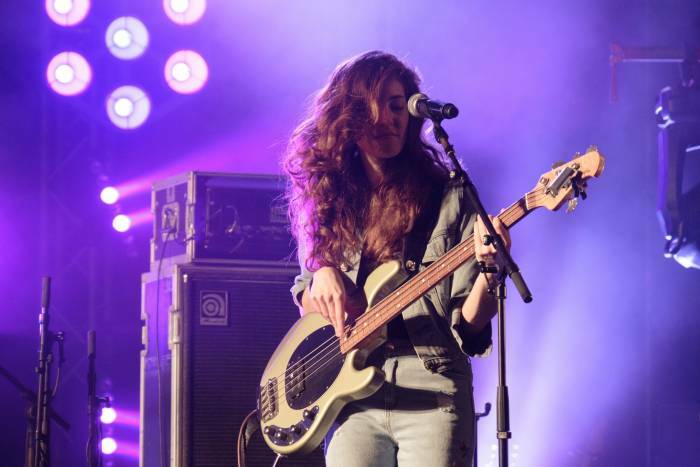 Our Bass guitar lessons London are for students of all ages and all ability levels. So absolute beginners don’t be shy! Around half the students who come to Bruce Music for lessons are absolute beginners. 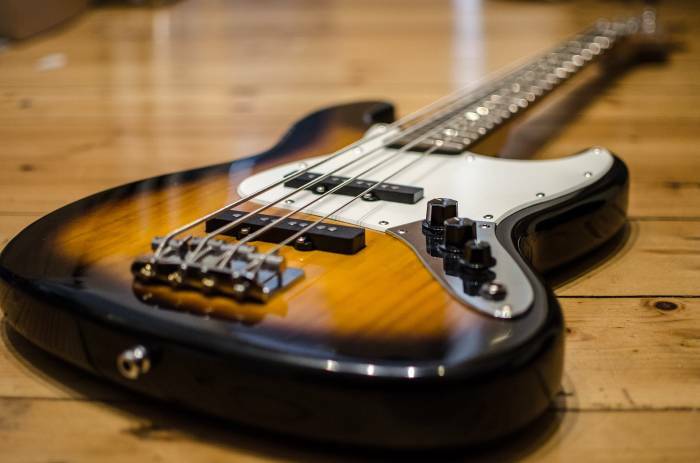 It is fundamental to our ethos at Bruce Music that our bass guitar lessons are for anybody who wants them – this is something we demonstrate in our offering of lesson lengths/packages, musical styles and teaching approaches that we have on offer. At Bruce Music we have given bass guitar lessons to everyone from young children to people in their 80’s, and everyone else imaginable in between. Every bass guitar student’s path of development and progress is different, so we do not offer generic, one-size-fits-all-lessons. Every student’s development is something unique and our bass guitar teaching has to be tailored and bespoke to ensure we are giving students the best possible bass guitar lessons. We ensure our bass guitar teachers have the expertise, training and interpersonal skills necessary for us to provide our London bass guitar lessons service to students of all ages and abilities. We offer home visits throughout London and the surrounding areas as standard, or you can visit one of our bass guitar teachers if you prefer. Between our teachers, we have all of the London area covered, so we can reach you wherever you are. All styles of music – Rock, Pop, Funk, Jazz, Blues, Folk, Country, Metal and more!